www.odysseyware.com • Retail Price: Contact company for pricing. 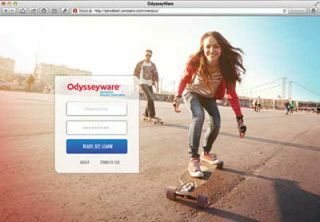 Odysseyware provides course materials and a learning management system to deliver courses to students in grades 3-12. Instructors can select courses to supplement the regular classroom, or for credit recovery or advancement. For many courses, instructors can choose which parts of the course materials to include and add customized assignments. They also offer Common Core Assessment and remediation modules for grades K-8 in math and English Language Arts. Quality and Effectiveness: Odysseyware offers over 160 courses at various grade levels in multiple subject areas. Courses include core subjects such as math, science, history, and English Language Arts as well as CTE courses, electives, Common Core Assessment Readiness, Advanced Placement, and GED prep. Odysseyware translates materials into nine languages and offers text-to-speech software right in the course interface. Course materials are updated frequently and updates are immediately pushed to the user as it is a Web-based interface. The pre-built, well-designed curriculum makes this product a perfect solution for schools and individual teachers. Ease of Use: The software is relatively self-explanatory and anyone with prior experience with technology should have no problems navigating. For users who are less tech savvy, support materials are abundant and clear. Because the software is Web-based, there are no servers or maintenance issues to worry about on the user end. You do, however, need to ensure that the latest version of Adobe Flash is installed on any machines using Odysseyware. Creative Use of Technology: Odysseyware offers curriculum maps for its courses that tie directly to the CCSS, so teachers will know which standards are being met with the curriculum assigned. Some courses appear to be very text-dependent and may be intimidating for some students. Games and simulations at the lower level are appropriate to reinforce the text from the lessons. Most assessments are self-graded and tracked by the program. Suitability for Use in a School Environment: Odysseyware can easily be incorporated into existing curriculum as a supplement for re-teaching or as an enhancement for more advanced students. With the variety of courses available, schools can offer electives that were previously unavailable to students, and teachers can incorporate new materials into their classrooms. With very basic training for teachers and students, Odysseyware can be up and running in a school in a few short days. • Flexibility: With the option of using all or part of each course, teachers are able to build courses that meet the needs of their classrooms and their students. • Differentiation: The translation and text-to-speech features of Odysseyware make differentiation and learning style preferences easy to accommodate. • Alignment: The CCSS curriculum maps make it easy for teachers to use Odysseyware to supplement their course materials in areas for which their students may need support or enrichment. Odysseyware may well be the answer many districts are looking for as they seek to incorporate blended and online learning into the curriculum. With flexibility in use for re-teaching or enrichment, Odysseyware offers solutions for many schools that struggle to meet the needs of their students.